Craftsman is known as a leader for quality and service in the Chicago area for Gun Drilling and Deep Hole Drilling, as it is also known as. 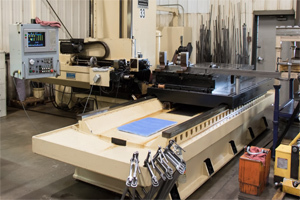 Craftsman Mold Bases utilizes, state of the art gun drilling machines, in order to keep all their key services in-house. 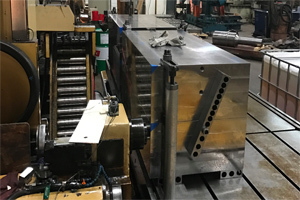 Whether your order is for the Oil And Gas Industry or the highly competitive Aerospace and Defense Industries, Craftsman's gun drilling division will meet a variety of tolerances and capabilities, including capacities from 0.062" inches to 2.000" inches in diameter. Holes 0.437" inches to 2.000" inches in diameter and can be drilled to a depth of 80 inches from one side. In addition, Craftsman's gun drilling machines have a work holding capacity of 40,000 pounds. We offer table dimensions up to 55 inches by 96 inches, with table travel 48 inches vertical by 96 inches horizontal. Craftsman is excited about our recently purchased Taurus gundrill! 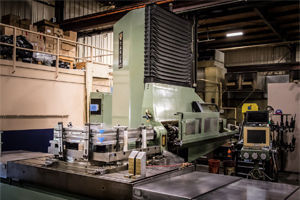 It has a heavy duty multi-spindle and 4-axis traveling column. 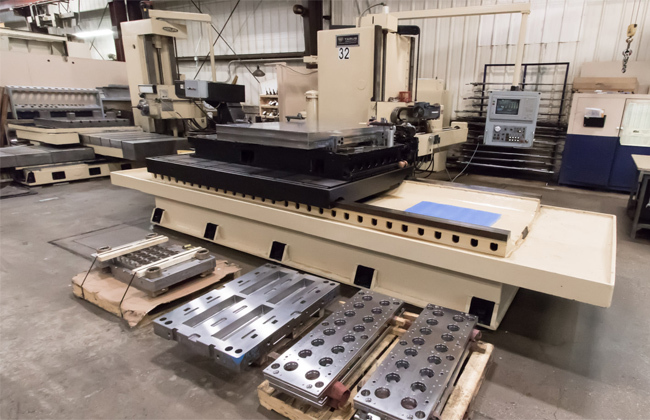 The table load capacity is 60,000 lbs with drilling spindle speeds of 0-3400 rpm. It has an extra heavy duty milling spindle, auxiliary spindle speeds of 0-2000 rpm and a CAT 50 auxiliary Spindle Taper. It uses the STS (single tube system) drill. This drill removes chips through an internal tube, eliminating all the problems of chip binding and jamming which often occur with conventional deep hole drills. With the STS drill, operators can increase feed up to 8 ipm for standard cooling holes. As a result, they cut part cycle time by up to 50 percent!